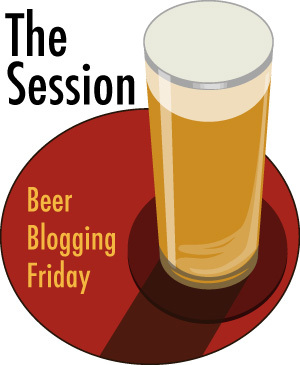 [Jan. 5, 2018]–The Session is a monthly effort where beer writers around the interwebs respond to a topic question each first Friday. This is the 131st installment, so it’s been going on for quite a while. What do I like to drink? Good beer. As for distinguishing independent breweries from megabrau corporations, I think I’ll stick with craft beer for now. Still works for me and most of the people I’m communicating with. When I need to make finer distinctions, I will. 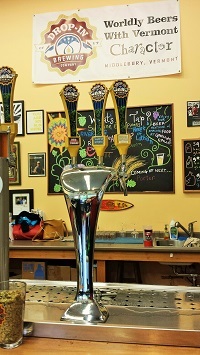 What two breweries do you think are very underrated? Name any two places that don’t get much attention but are quietly brewing great beer day in and day out. Tougher question. I had a chance to visit several northern Alabama breweries this year and was generally surprised and impressed by what’s going on, in that I went into the area expecting a southern backwater–northern elite that I am. 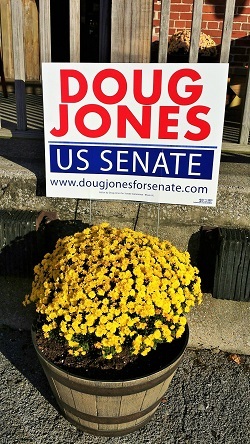 I’ll single out Back Forty Beer Company in Gadsden for leading the charge in the state, for the energy and charisma of founder Jason Wilson, and for having the courage to put up a “Doug Jones for Senate” poster early in the game. 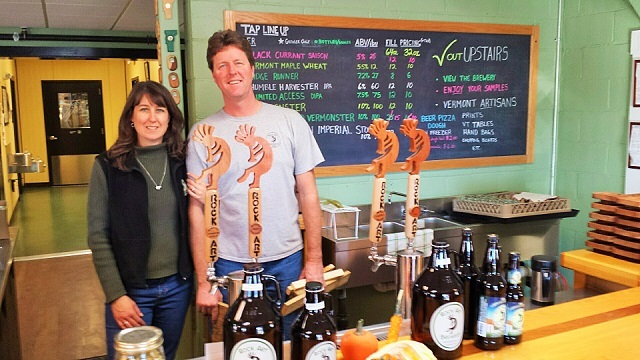 Back here in Vermont there are no lack of superstars, but Rock Art Brewery in Morrisville has been going at it steadily for 20 years now, recently went 100% solar, and appears utterly committed to family, community, state, common sense and good beer. Name three kinds of beer you’d like to see more of…. anything except IPAs, or other extreme beers…. beers that we don’t hear much about or that fewer breweries are making. What styles should return, re-emerge or be resurrected in 2018? I’m still thinking about a 3.9% mild I had over a year ago at the Drop-In Brewing Company in Middlebury Vermont (which I noted in Session #117). It was so tasty, and so low in alcohol, that it was nothing short of astonishing. So it can be done. I’d love to see some of the same skill brought to bear on traditional English-style special (or strong) bitters and porters. There is, indeed, no shortage of all sorts of IPAs here in New England, especially the cloudy, orange juice-looking variety that I still have some visual problems with, even while draining my glass. So I often need to return to (or flee to) more traditional styles, if only to reestablish a personal baseline.